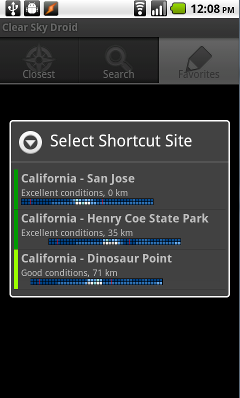 Shortcuts are an often overlooked usability enhancer for your Android app. They are a nice alternative to providing quick access to particular locations or views of data, where you would otherwise have “favorites” or “most recently used” function. I wanted to take a moment to share my implementation experience. 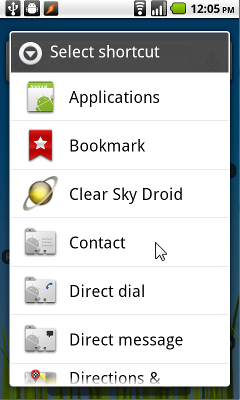 My use case: I am the author of the Clear Sky Droid (and the donate version) app which is available on the Android market. Being a tad esoteric, it’s probably not the best example, but I’ll try my best to explain the usability problem in abstract terms. Essentially, the user can define a list of favorites by searching for items. From the list of favorites, they can then select a detailed view of the item. The usability problem is that many users want direct access to the detailed view of a particular favorite – something that is normally 3 clicks away. Shortcuts to the rescue. With this feature, the user can set up a desktop shortcut for direct access to the detailed view of a particular favorite. It’s now one click away. What exactly is a shortcut? It’s an Android desktop artifact. It is not part of your application. When clicked, it broadcasts an intent that you have defined. So you can see where this is going. You simply need to set up your application to respond appropriately to whatever intent is configured into the shortcut. You can look at CSDroid’s AndroidManifest.xml to see this in context. This is all it takes to make your application show up when the user long presses on the home screen and select “shortcuts”. You must now make your application handle the intent. In CSDroid, look at the startService() method in the class TabwidgetActivity, find the line where it’s checking if the intent’s action is “android.intent.action.CREATE_SHORTCUT”. This means the user has long pressed the home screen and selected your app. Gather any information necessary to customize the shortcut to access to a particular aspect of your application. For CSDroid, we open a dialog that lets the user select a favorite item. Looking at the code in TabwidgetActivity mentioned above, you can see that a dialog is shown when the CREATE_SHORTCUT intent is received. The dialog builder class is FaveShortcutDialogBuilder. In this case, if CSDroid sees a site ID in the intent’s extras, it will perform the shortcut action for that site ID. I should not that in the context of CSDroid the code could be organized better. A better pattern would separate the main activity from the short cut creation, and shortcut handling activities. So you might have MainActivity, CreateShortcutActivity, and HandleShortcutActivity. One last gotcha … my first idea was to auto-create the shortcut from the app. In other words, circumvent the steps where the user must long-press the home screen, select shortcuts, select my app, then select a favorite – all from within the application. CSDroid already has an activity that lists the user’s favorites. I wanted to simply add a “add shortcut” option right there. Well, you can’t do that. You cannot programmatically create shortcuts. Only the user can do that. CSDroid is open source. 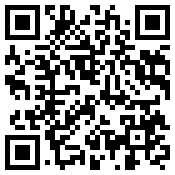 Visit the CSDroid Google code project page to find the source code, etc. 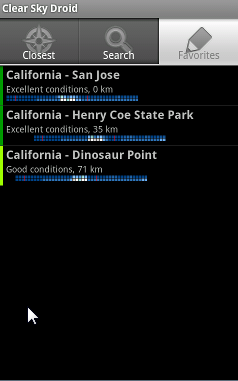 And finally, all due credit to Attilla Danko, the owner of ClearDarkSky.com, the data source for this application. You are currently browsing the Zero Credibility blog archives for January, 2011.